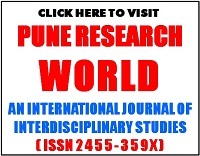 Dear Scholars, Academicians, Readers, Contributors, It is a great pleasure to start PUNE RESEARCH TIMES An International Journal of Contemporary Studies. I would like to welcome you all viewers to visit PUNE RESEARCH TIMES Journal website. 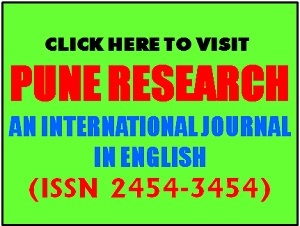 PUNE RESEARCH TIMES Journal is an open access journal available for all viewers, contributors, readers. PUNE RESEARCH TIMES Journal published online quarterly. The Journal discusses the academic, scientific issues related to diverse all subjects of various branches from the Globe. 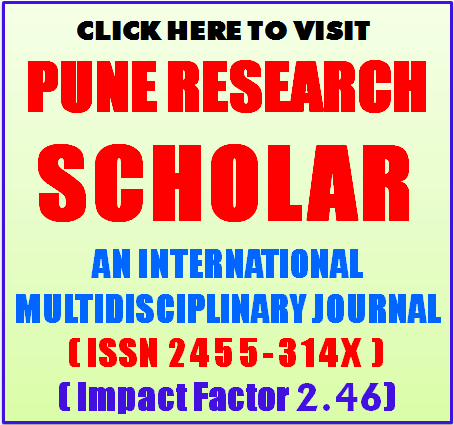 As a editor I would also like to begin by extending my particular thanks to Scholars, Academicians, Readers, Contributors every corner of the Globe to provide their moral support consistently every stage of PUNE RESEARCH TIMES Journal's development. I would like to thank you especially contributors for making the effort to fruitful. The Journal's really want to take up Academicians, Readers, Contributors visions to generate the research related skills and qualities and this is the ultimate and concrete aim of the PUNE RESEARCH TIMES Journal. I wish all to stimulate your discussions, innovations and educational practices though PUNE RESEARCH TIMES Journal. Copyrights of all materials published in PUNE RESEARCH TIMES An International Journal of Contemporary Studies are held completely by the Journal and the respective author/s. Any reproduction of material from the journal without prior permission will result in the violation of intellectual property laws.